Brand NEW 15,000 sq. 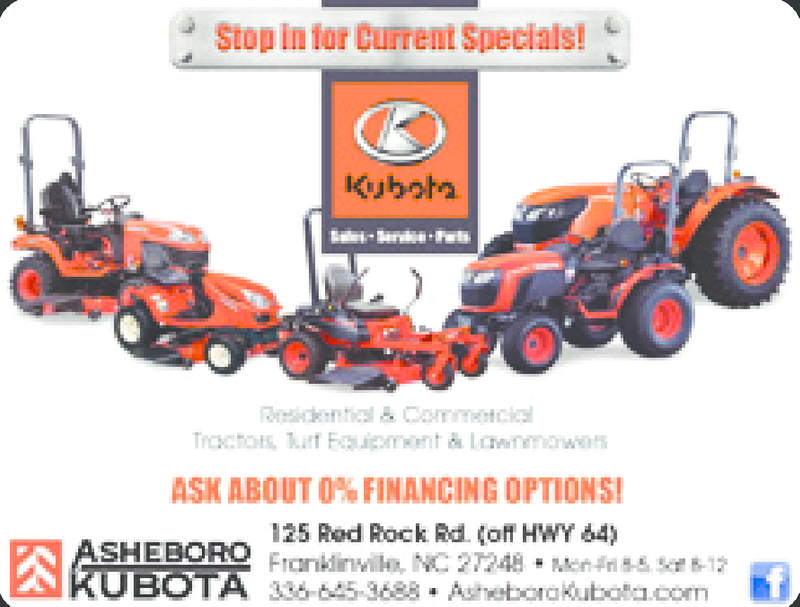 ft. facility with a huge selection of residential & commercial Kubota tractors, turf equipment & lawnmowers. Sales. Service. Parts. Opening February 2019. Stop in & check us out! On HWY 64 at Red Rock Rd! Ask About % Financing Options! See store for details. Mention you saw this offer on the Hometown Values website.